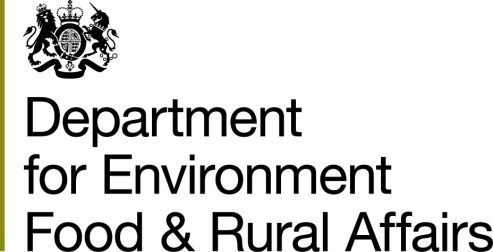 Businesses across Devon and Somerset are being urged to get their applications for the Heart of the South West Rural Enterprise Grant (REG) in as soon as possible, before the deadline in early January 2014. Over £600,000 has already been allocated from the £1million REG fund which was launched in January. Administered by Devon County Council, funds have been allotted to 19 businesses across the area with the remaining funding due to be allocated in early March 2014. The grants have to be used to aid business development and create jobs. Businesses have used the money in a variety of ways – to update machinery, automate production processes or purchase new equipment. Cllr Andrew Leadbetter, Devon County Council Cabinet Member for Economy and Growth said: “Around 90% of businesses across Devon and Somerset are micro businesses so this grant has huge potential to boost the economy in the area. Family run Devon company Hunter’s Brewery, based in Ipplepen was able to install an automated bottling system thanks to the grant. The new machinery increase enabled the business to increase production from 300 bottles per hour by hand to 3000 per hour and create two additional jobs. Director, Paul Walker said: “The automated bottling line will not only help us cope with our own production levels, but will enable us to contract bottle for other small breweries. Hunters Brewery will be the only contract bottling plant that is able to produce bottle conditioned ale in this area. “Two new jobs have been created within the brewery thanks to increased productivity – the future is very exciting due to the help we’ve received from The Rural Enterprise Grant. Devon County Council’s successful bid for £1 million from Defra (Department for Environment, Food and Rural Affairs) was achieved in partnership with the Heart of the South West Local Enterprise Partnership (LEP). Chris Garcia, Chief Executive of HotSW LEP said: “Hunter’s Brewery is exactly the type of business this grant has been set up to support and we wish them the best in the future. This programme is drawing to close and interested parties are encouraged to visit the website to check eligibility criteria which has recently changed www.heartofswlep.co.uk/rural-growth-rural-enterprise-grants or contact an advisor at the Business Information Point (team@bipwestdevon.biz / freephone 0330 1000338).